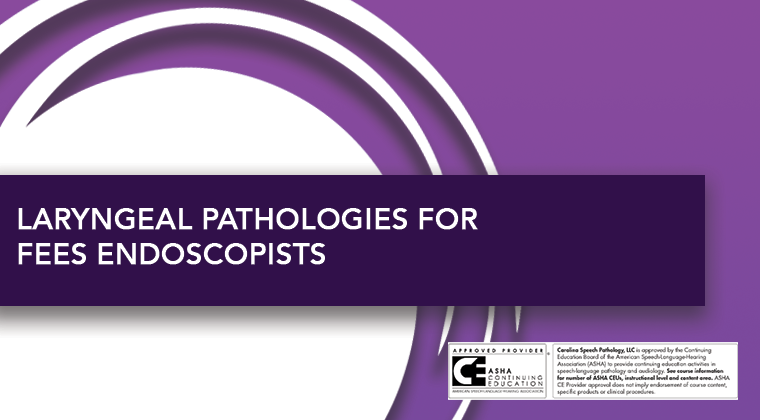 The one-hour recorded program provides an opportunity to develop an understanding of the different laryngeal pathologies that may be identified during endoscopy. Pictures and examples of language to describe anatomical variations in SLP reports were provided. This course is offered for 0.1 ASHA CEUs (1 hour), Intermediate Level, Professional Area. Amy Zeller was a salaried employee of Carolina Speech Pathology. Ms. Zeller has no non-financial relationships to disclose. Amy Zeller, M.S., CCC-SLP has been a practicing speech-language pathologist since 2005. Her areas of clinical expertise include voice disorders, dysphagia, velopharyngeal insufficiency, and voice restoration following laryngectomy. She has been teaching the art of endoscopy for the entirety of her career and truly enjoys imparting this skill to her fellow SLP colleagues.